Five historical shops in Lisbon, what do they have in common to prevail along decades in town? What make them so special and unique, that still distinguish them among the others? Whether you are visiting Lisbon for the first time, and these addresses are a must, whether you are looking for some unique gifts to bring home, make sure you don't take off without visiting these exclusive historical shops in town. 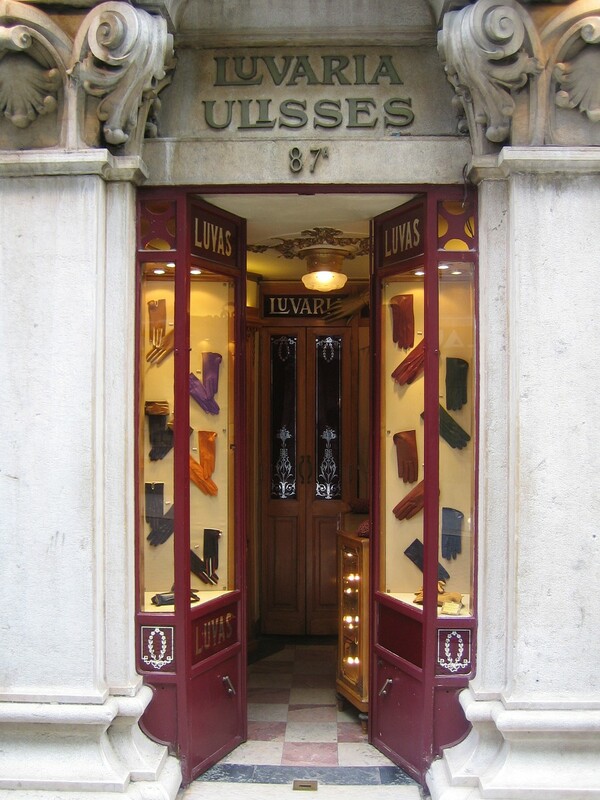 The handmade gloves store beginning dates back to 1925, is since then, a mark and a reference in the city. Luvaria Ulisses fostering the materials and the manufacturing quality control, has along the decades served Lisbon's elite, official figures, artists and known clientele. The number 87a at Rua do Carmo, crusted inside Carmo's Convent Wall, in Chiado, is home of one of the smallest luxury and historical shops in Lisbon, Luvaria Ulisses. Unless it's winter and there will be a long line, crossing the street, any other time the most distracted will pass by Luvaria Ulisses without noticing the tiny shop among the buzz of Rua do Carmo. Inside of the 4m2 shop, the gloves are sinuously displayed. Short, long, supple calfskin gloves - as Hermes or Louis Vuitton ended - the gloves, are nearly custom made. Among the seven available sizes customers will find some that will literally "fit as a glove". At first, the owner, Carlos Carvalho will look at customer's hands, mesure them and will find the right size for each. Once a customer get a pair, in case of any reparation needed in the future, or even loss, there is no need to bring back the receipt. Luvaria Ulisses knows perfectly its products and so the customer care will be provided. A pure luxury! 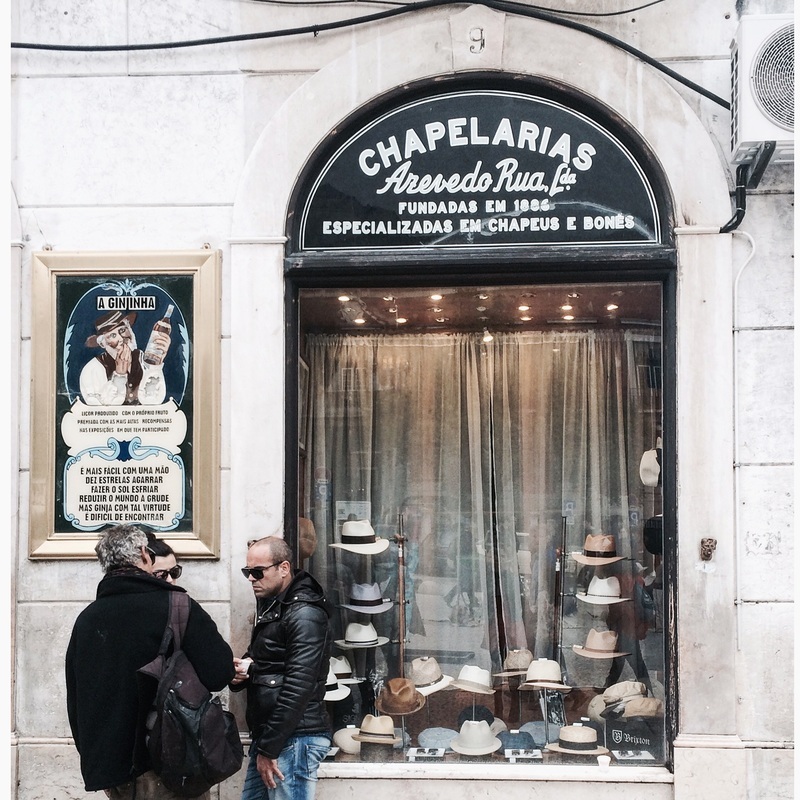 In the main square of Lisbon's downtown, Rossio, is located the 120 year-old hat shop, Chapelaria Azevedo Rua. Opened since 1886, by a former Wine producer, Manuel de Azevedo Rua, Chapelaria Azevedo Rua, has since then, within the same family for five generations, crafted hats for lisboners and voyageurs who stop by in town. When it comes to handcraft and precision, Chapelaria Azevedo Rua has a crown. Since the golden years for the hat business, when no-one could walk around without a hat, Chapelaria Azevedo Rua keeps its charisma and essence. Inside the wooden shelf displays the wide hat's collection. In Winter there are felt hats, fedoras, cashmere and tweed caps. In Summer, Panamas and straw hats. 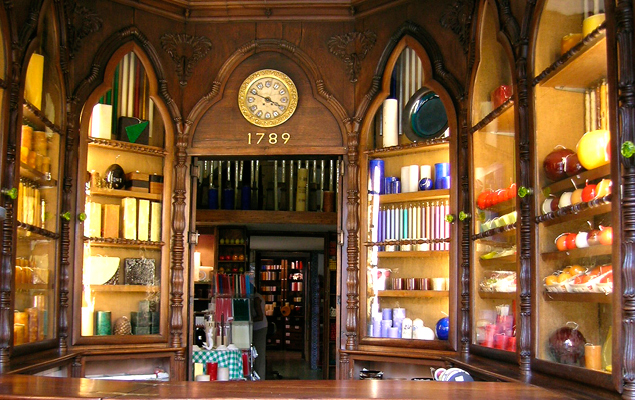 This particular Lisbon's shop is dedicated to produce exclusively candles since the French Revolution, in 1789. To visit Caza das Velas do Loreto is a journey back in time, within the number 53/55 at Rua do Loreto (Chiado), and to see part of the sixth family generation business. When asked how such a shop have prevailed for so long, the answer is one: "when you love something you fight for it and don’t just lock the doors and throw the keys away" claims the owner. The hard wooden window is hard to miss, and who walks by notices the candle's wax scent coming from the interior. Inside, the filtered light protects the colorful artisanal candles, available in all sizes and shapes. The candles are handcrafted with national and natural ingredients, and so are the scents: Verbena, Heather, honey. There are classic candles, funny ones, for special occasions like wedding or baptizing. At some point you think you are inside a museum, where the number of candles exceed the thousand! 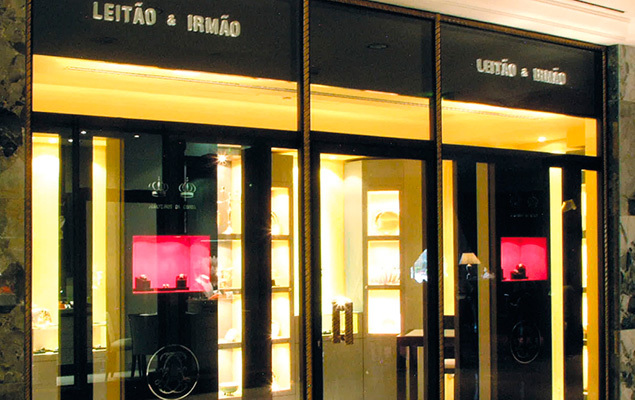 Leitão e Irmão, the former oficial Portuguese's Royalty and Brazil's Imperial House Jewelers was founded in 1822. Each piece is designed and manufactured in Leitão e Irmão workshop using the traditional methods and knowledge that has along family's generations being kept and passed. Today Leitão e Irmão has kingly ensured, as the pieces it designs, its prevalence and eternity through time. Combining their knowledge heritage and tradition, with contemporary techniques and designs, Leitão e Irmão is established today as the Portuguese's jewelry reference. Today, with almost 200 year-old existence, Leitão e Irmão keeps its exclusiveness and quality. From their workshop in Bairro Alto, sometimes still using the old machines that once were the most technologically advanced, that the beautifully and unique jewelry pieces are created by the twenty working artisans. There a magical place, where the dust is gold, and so the workers work with the drawers opened to save such powder; There a magical place, where the washing hands' water is filtered. There a magical place, where eternal pieces get into shape. There are two shops in town: one in Chiado and the other at our Hotel. "Dolls Hospital", it is the meaning of Hospital de Bonecas. As the name says is a special, and a fairy tales place, the Peter Pan dream, the Never-land. 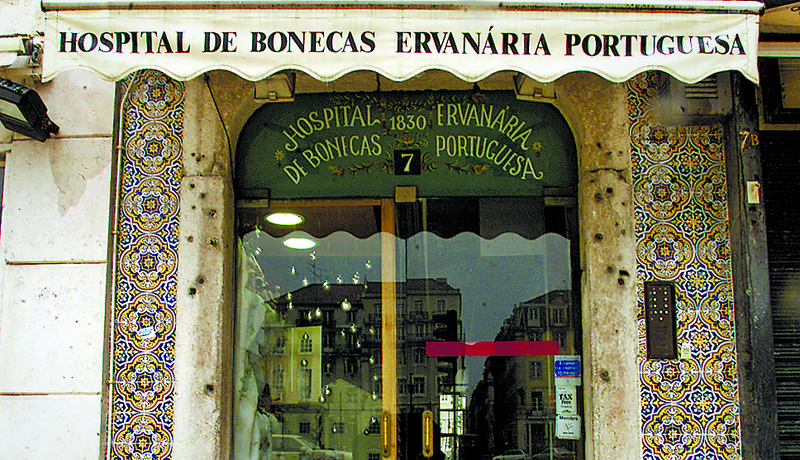 As Lisbon's 7 hills, as the Snow White and the 7 Dwarfs, or as everything with the number 7 has, a mystical and special aura, Hospital de Bonecas is hosted in the number 7 at Praça da Figueira. Hospital de Bonecas opened its doors in 1830, and since then not only sells toys of every kind and type, but also fixes and takes care of the old ones. Here children won't cry when their favorite doll gets an arm broken or lost. At Hospital de Bonecas, every toy disease will recover and get fixed.